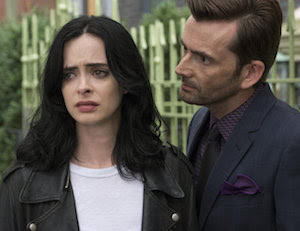 The Pop Culture Podcast by Phantastic Geek: Jessica Jones: 211 "AKA Three Lives and Counting"
Jessica Jones: 211 "AKA Three Lives and Counting"
As Jessica battles the aftermath of her self defense, an old monster reappears to her. Which path will she choose? Pete and Matt help light the way as they break down episode 211, "AKA Three Lives and Counting." Agents of SHIELD: 519 "Option Two"
Agents of SHIELD: 518 "All Roads Lead..."
Agents of SHIELD: 517 "The Honeymoon"
Agents of SHIELD: 516 "Inside Voices"
Jessica Jones: 213 "AKA Playland"
Jessica Jones: 212 "AKA Pray For My Patsy"